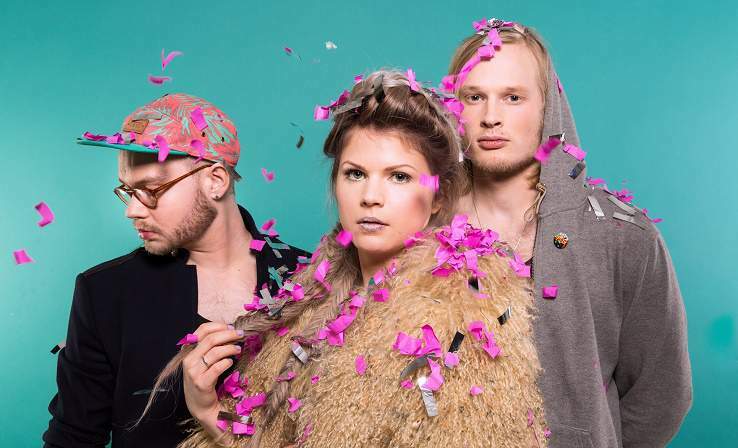 Feels is a Helsinki-based electro-pop group led by singer and songwriter Sofi Meronen, keyboardist Mikael Myrskog and producer Jooel Jons. Their first EP is due to be released early 2016 with two singles already on air. FEELS describe their music as epic, gripping and toned with northern melancholy. “If You’d Meet Me Tonight” is the 3rd Single of Electropopband Feels featuring Sofi Meronen, Mikael Myrskog and Jooel Jons. “Here’s the music video to our new single ‘If You’d Meet Me Tonight’. We decided to make something different, and some people thought that we shouldn’t publish this because it might change the way people see us and our music. We had a home video of our synthwizard Mikael being surprised at his birthday party, filmed by our dear friend Teodor Aittokallio. We thought it was so amazing that we had to build the video around it. What we were looking for was warm, colorful and fragile, and Sara Forsius created it with much skills. I’m in love with the result and hope that you feel it too. This song is about someone you used to know before, and wondering what would happen if you’d meet them for the first time today. It’s about feeling vulnerable and still not sure if you’re ready to let go. We believe that we can be taken seriously even if do something different. We want to be all the feelings.” – Sofi/Feels. The official music video for If You’d Meet Me Tonight by FEELS. starring Dominique Pashley, Mikael Myrskog and Friends. Video by Sara Forsius. Production Design by Irene Schalin. Surprise party clip by Teodor Aittokallio. Written by Sofi Meronen. Recorded, mixed and produced by Jooel Jons. Mastered by Tapio Backlund.